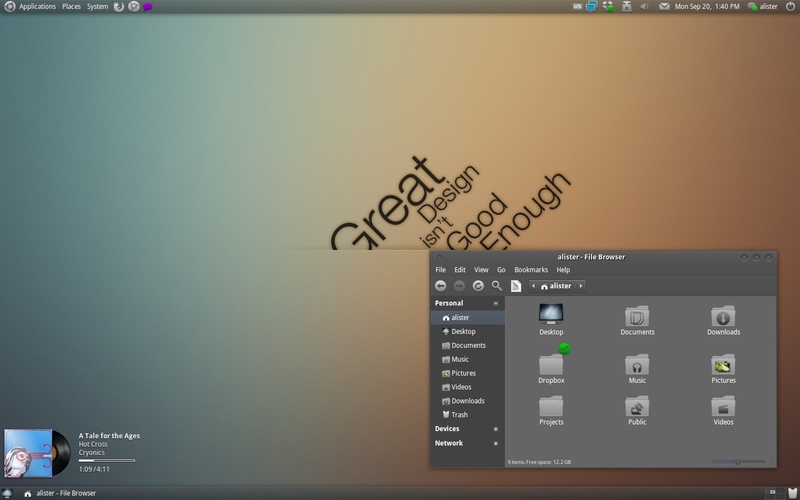 To install Elegant Gnome theme pack in Ubuntu Lucid and Maverick, all you need to do is add the PPA and install Elegant Gnome. 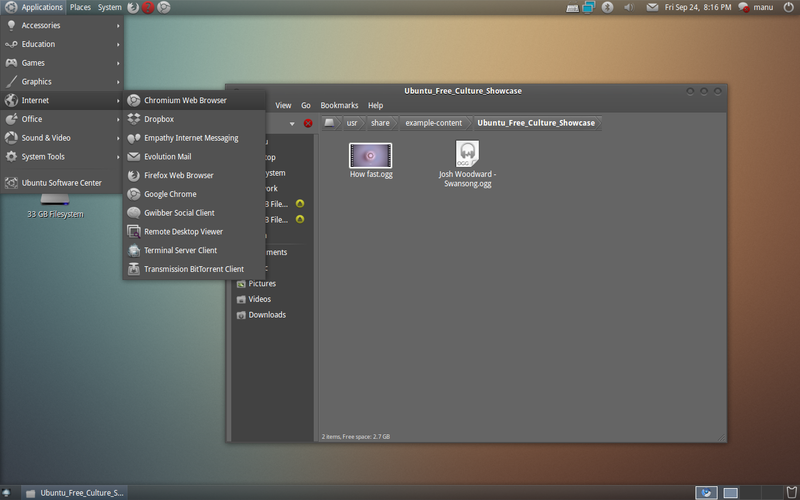 But you may want to consider installing latest nautilus-elementary also in Ubuntu for best results. How to Install Nautilus Elementary in Ubuntu Lucid, Maverick? Before installing, you may want to read our detailed Nautilus Elementary review. Now install Nautilus Elementary, simply do the following in Terminal. 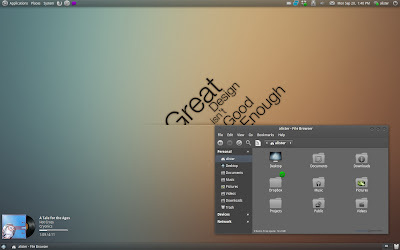 How to Install Elegant Gnome Pack in Ubuntu Lucid, Maverick? You will have to install latest Equinox engine first. Remember, if you have installed Equinox GTK Theme before, you don't need to do this. Otherwise do the following in Terminal. 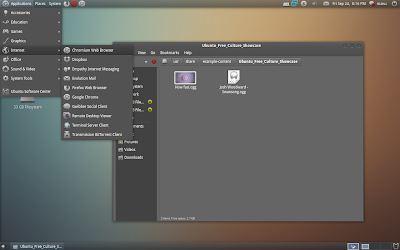 No need of Equinox GTK Engine for the Elegant Gnome theme to work. 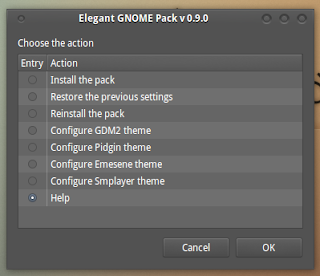 Simply do the following in Terminal to install Elegant Gnome in Ubuntu from PPA. Done. All packages are downloaded and are ready for installation. Now, goto Applications - Accessories - Elegant GNOME. Following window will popup. 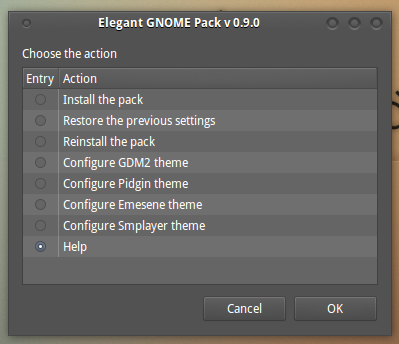 Select 'Install the pack' option and OK. Theme will be automatically changed to the new Elegant Gnome version. I especially loved the Awoken inspired icon theme. And Google Chrome icon deserves a special mention. It's so awesome. Its time to say good bye to Equinox + Faenza theme combination at least for the time being. Here's my desktop. PS: Even though the steps described here should work fine for both Ubuntu Lucid and Ubuntu Maverick, I haven't tried this in Ubuntu Lucid since I am already on Ubuntu 10.10 beta. Also, if you are using a distro other than Ubuntu, installation instructions here.